Recently we made the biggest cake we have ever made! 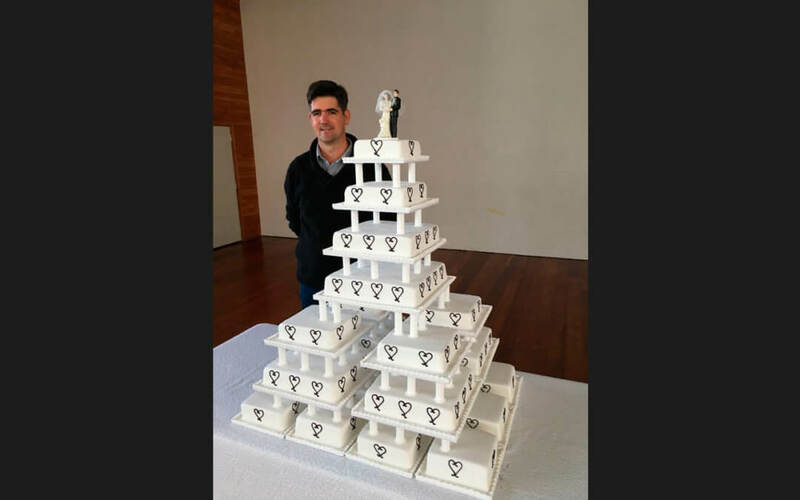 A 24 tier wedding cake, which was a Massive challenge for everyone, but as you can see the result is amazing. One of the hardest parts of this cake build was sourcing all the pillars to create the structure. We also had to make some calculations around how to stack 24 tiers and do it in a way that it could take the weight. The turn around was also tight, with only 2 weeks to get it made. And then there was logistics of getting this cake to the venue, this of course went without a problem. Here is what our happy customer had to say.